In the hustle bustle of stressful family life, it can be great to spend special one-on-one time with each child. Kids adore the attention, the fun and the indulgence of having one parent all to themselves. It can also be incredibly meaningful for parents. If you feel exhausted from doing laundry, dragging kids to swimming lessons, refereeing arguments or cleaning up spills, having special time with just one child can put the zip back in your step, the magic back in the moment. Special time is a powerful tool to nurture a parent-child relationship. 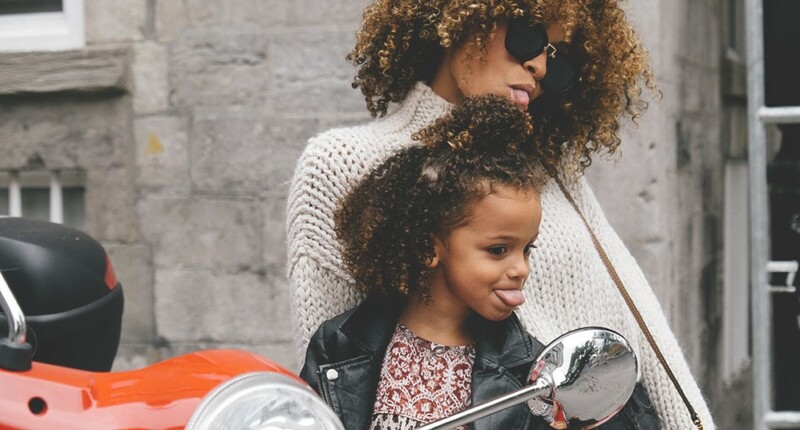 Positive parent-child relationships strengthen children’s emotional well-being, attachment security, coping skills, school readiness and achievement, and future capacity for relationships. What makes special time special? It’s one-on-one. A child who is used to sharing you with a fussy newborn sister or a potty-training brother finally gets you, the most important person in his or her little life, all to themselves. It invites complete presence. Naming time as special makes it more likely that you and your child will give each other your full attention. No iPhone, no Dora the Explorer, no phone calls. Giving someone your full self is a powerful present. It’s fun. Labeling special time as such subconsciously makes you and your child look forward to it. It will be different from the stress of getting out of the house when you’re late. It will be different from the routine. There will be laughter. It will be fun. Give your child a job to do. If you take your child to the car wash, ask him or her to vacuum the car for you. If you take your child out to eat, ask him or her to be in charge of buttering the pancakes or scooping the extra food into the take-home box. If you take your child swimming, ask him or her to be in charge of locking things up in the changing room. It doesn’t matter what the job is. When you give a child a defined role, they feel useful, cooperate more and feel even more important. Let your child make a choice. Give your child a choice during the time. Ask your child if he or she wants to play tee-ball or soccer at the park. See if he or she wants to hold the light bulbs or be the tester to turn on the light. Letting a child make a choice gives him or her ownership and investment in the experience. Have fun. Remember that the most important part of special time is to have fun together. Look into your child’s eyes, embrace your inner goofball, tease gently, throw your child in the air, tickle, smile and have fun together. Make a preview. Before special time, make a list of 3 to 5 things you might notice. For example, if you are going to the zoo, you can list that you might see the fountain, go on the carousel, play at the playground, jump in the ceramic kangaroo pouch, and get a hot pretzel. Before you go to the hardware store, you can talk to your child about finding the paint, the saws and the place where they make keys. Take photos and/or videos. Have your child be the photographer or take photos or videos and show them to your child when you get home. You may decide to print them out and make a small scrapbook for your child to look through later. Make a related art project before or after the experience. If you fly a kite with your child, help him or her make an art project of flying the kite with colored construction paper, scissors and glue. If you brought your child to the car show, print out a picture of his or her favorite car and let him or her paint it a favorite color. If you are going to the pool, make a collage before you go of magazine pictures of kids playing in water. Play about the experience. If you visit the largest tower in your city, pretend like you’re building it with blocks together when you get home. If you take your child to the dollar store, draw a bunch of fake dollars and “play” dollar store with your child, a toy cash register, and aisles of toys you have already. If you go to the arboretum, “play” arboretum at home by making a booth where you check your child’s membership card as he or she “drives in” through the gate on his or her toy truck. Fix-it crew– Ask your child to be on the “fix-it crew” for your house. Every 1st or 15th of the month, change all the light bulbs together, replace batteries in toys and make minor repairs to your house. Art projects– Get a book of art projects for toddlers. Let your child choose one to make with you out of the book during special time. Baking– Bake muffins, brownies or cupcakes with your child. The more ingredients, the better. Let your child measure, pour and stir the ingredients. Gardening– Let your child water the flowers with a water spray-bottle, a watering can or a garden hose. Ask your child to help you plant flowers with a shovel or pull weeds with special gardening gloves. Packing– Let your child help you pack for your own work trips, family vacations or the beach. Draw little pictures for them to check off a checklist as they put them in a bag or a suitcase. Ask them if they have an idea for a unique or fun surprise to pack in the suitcase. Cleaning project– Let your child be your partner in a large cleaning project such as cleaning out the lazy susan, cleaning the garage, cleaning the fridge, cleaning the car or cleaning out a closet. Give them ownership over a piece of the project, such as taking all the cans out of the cabinet and putting them on the table, or lining up all the stuff with a stick on it, like the mops, rakes and brooms. Shovel snow or rake leaves– Let your child help you shovel the snow, rake the leaves or do other outdoor tasks. Time with young children is so precious and fleeting. It doesn’t matter what we are doing with them, whether it’s going to a carnival or to the hardware store. What matters most is that the time between us is sacred. Parts of this blog post have been excerpted from the book “The Joy Fix for Parents” and published previously on Psychology Today. Copyright Erin Leyba, LCSW, Ph.D.
Erin Leyba, author of the forthcoming book “The Joy Fix for Parents: 5 Steps to Overcome Fatigue, Guilt, and Stress and Build a Life You Love,” is a counselor for individuals and couples in Chicago’s western suburbs. Visit her blog at thejoyfix.com or follow her on Facebook.